“What was your favorite place?” has become the daily question I can’t answer. I don’t want to answer it. The two years I spent on the road can not be summarized by a single place, or experience. It just wouldn’t be right. The more I think about it, the more I think of a handful of experiences that are defining – they made up the core of the adventure and are by far the most vivid memories I have. I think about these experiences and smile, often bringing back the emotions I felt – excitement, elation and even fear. The list below is in chronological order – there is no “Outright Favorite”. 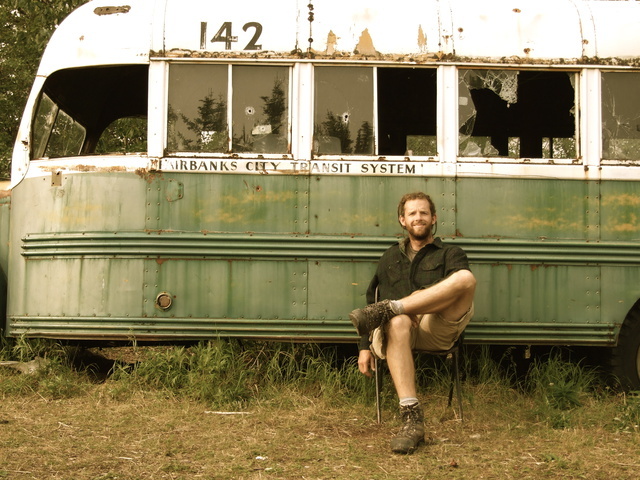 The Magic Bus – Hiking to The Magic Bus in Alaska was an experience hard to duplicate, and during the adventure my thoughts often wandered to Chris, his adventure and lasting legacy. Sometimes I think of him as a role model and even idol at times. I will go back to the bus. Soon, I hope. 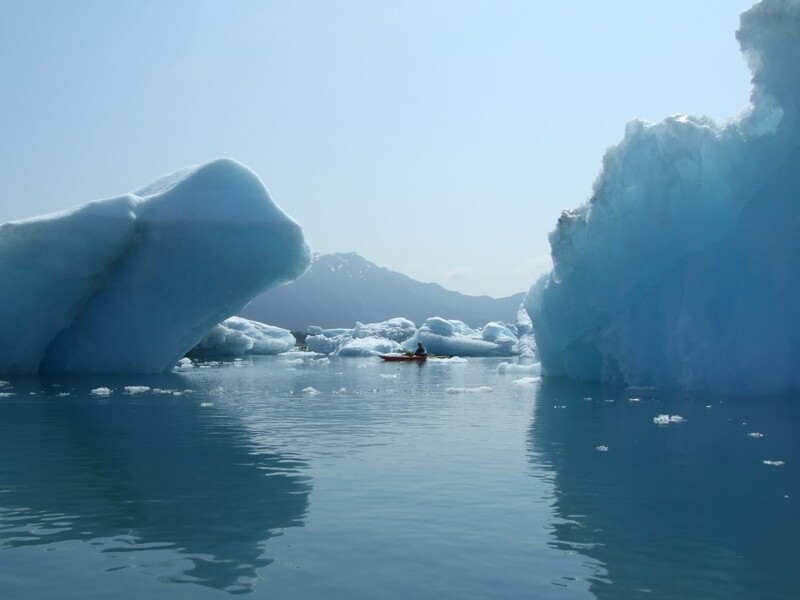 Kayaking with icebergs – On the day I said “This is one of the best experiences of my life!”. Bizarre and beautiful, that statement is still true. 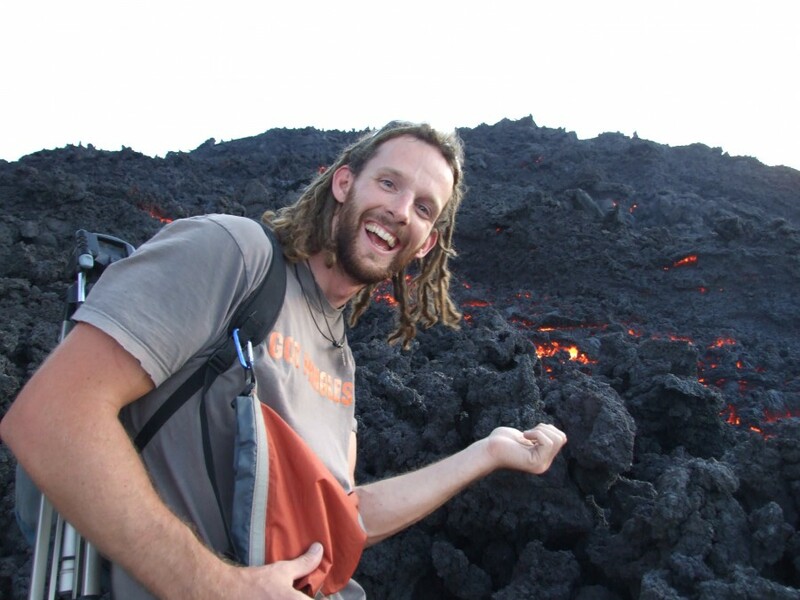 Playing with lava – The thought of poking lava with a stick feels absurd, and sometimes I wonder if I was dreaming. 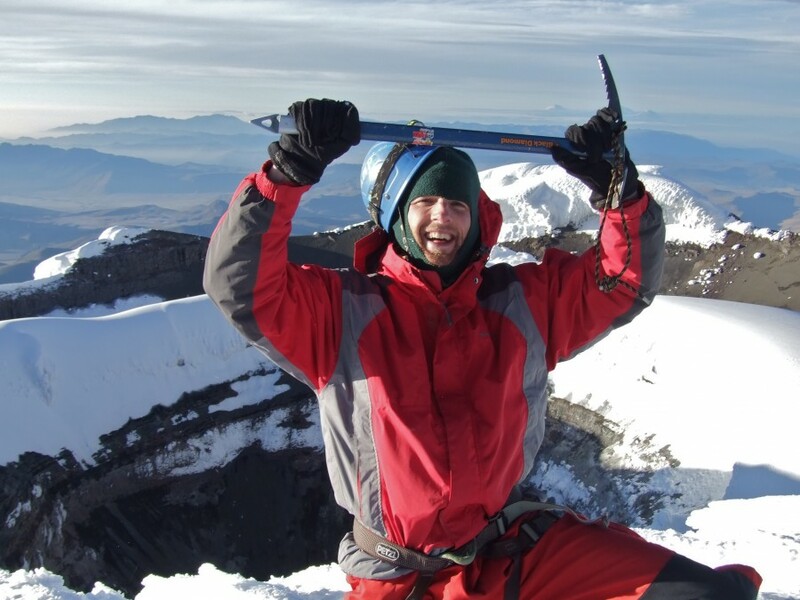 Cotopaxi Volcano summit – The single most difficult undertaking of my life. Indescribable. 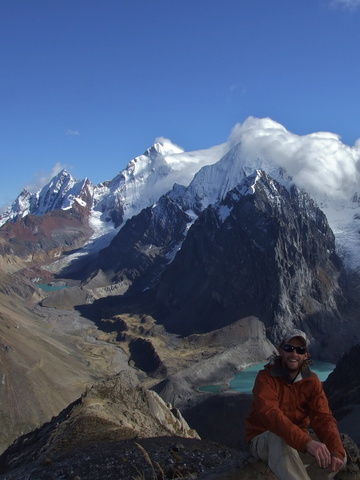 Hiking in The Cordillera Huayhuash – Ten days of hiking alone in the high Andes. I’m going to search for the rest of my life for a hiking circuit to match it. The Uyuni Salt Flats and South – Even the most gorgeous mountains, lakes, forests and beaches have comparisons somewhere in the world. 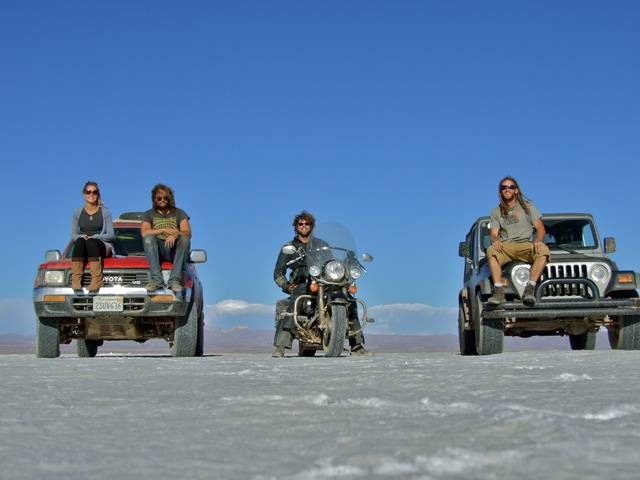 The Uyuni Salt Flats in Bolivia stand alone – freaky and jaw-dropping in beauty and isolation. The desert to the South was possibly the most extreme adventure of my life. I can’t thank you enough for sharing your experiences here! Some of the photos of these amazing places leaves me at a loss for words when I view them. I can’t wait to get out on the road throughout my life and see what life has to offer! Right now I’m in the early stages of planning a trip from New Jersey to the Magic Bus. I’ll definitely think of Chris and your adventures when I finally make it there. That’s fantastic Brian, as it means we will finally get to meet! I’m moving up to Whitehorse in the Yukon to live for a while, and the road to Alaska is almost guaranteed to go through there. I very much look forward to a couple of beers, and you absolutely have a place to stay and a hot shower for as long as you like. If you are heading up to the bus this summer, there is a chance I might tag along with you (if that’s cool). I really want to get back there and camp for two or three nights to soak in even more. That’s awesome Dan! I definitely look forward to the opportunity! I’m still in the planning part, so nothing is set in stone, but I’ll be sure to keep you updated. Right now my plan would be to leave New Jersey in early May 2012, probably take about 3-4 weeks to get out your way towards Alaska. If there was any way you could tag along on the trip to the Magic Bus that would be appreciated since you have all that valuable experience from going there before plus it would be cool to take a trip with someone who I just followed on an amazing adventure for the past 2 years! I think the bus is a very special visit overall as it’s one of the entry that brought so many people to your site (including me!). My plans are starting for summer 2012, once my teaching is out of the way, I’m hoping to follow some of your steps and make a few of my own. A great journey Dan, thanks for sharing it so far! You are absolutely correct Chris. For a long time my post about the Magic Bus was receiving more traffic than the rest of my website put together! It is an amazing place, I look forward to spending more time there. Well done, Dan. The “daily question” reflects a bit of the lack of comprehension on the part of the questioner of the scope of your trip. 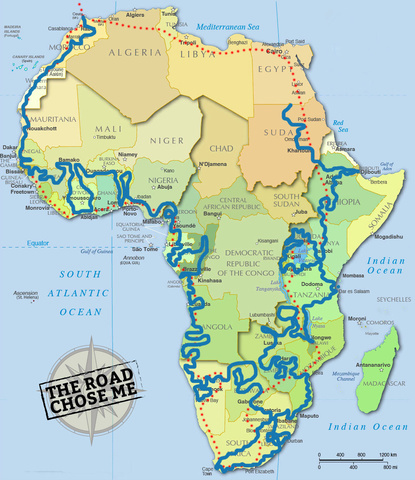 There were no destinations on this journey; it was an experience in toto. With me, adentures have the “big” points mixed in with countless little moments, sights, and events, and all are required (IMO) for the full experience. No need to distill it down to some singularity. BTW – I just got my first motorcycle – at age 46. This will be a personal adventure for me, whether or not I ever leave my county on the bike. Wish me luck! Awesome Jim! What did you get? Are you planning any summer road trip/camping adventures? I got a 1979 BMW R100T. No faring, but it has the luggage rack and Krauser bags. It is/was a fixxer upper, and I just got it running last week. I took my first ride on it last Thursday. I still have to get my permit and license, but I plan on riding quite a bit (once the rain stops). I have wanted a bike since I was 16, so it only took me 30 years to get it . . .
At the moment I am not planning on any long camping trips or road adventures based on the BMW. 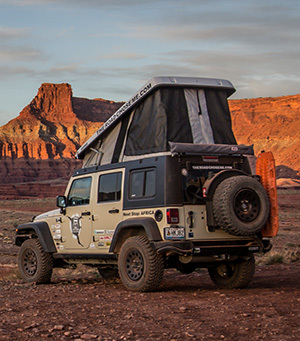 We will be doing some camping this summer with the Jeep, but we our oldest is heading off to college this year (Penn State), so our time and finances are limited. Get yourself a Honda or some other easy to ride and easy to maintain bike for your first foray. I tend to jump into the deep end of the pool, so taking on a non-running BMW R100 as my first bike is a typical “wrong move” for me . LOL – why do it the easy way? Wow, that sounds like a lot of fun! Congrats on the bike, I’m sure after 30 years it’s all the more enjoyable. No nasty power band, and probably pretty gutless so I can focus on the learning without the insane speed. 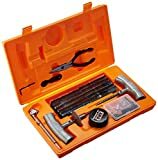 Enjoy the fixing upping – sounds like a great project for summer afternoons that can end with a cold beer. That picture of you sitting in front of the Magic Bus a la Mccandless and his famous last known image is absolutely priceless. Well done on the recreation. What a great tribute to Chris. If you get the chance Chad, I highly recommend a trip out to the bus. Very, very special. I also found your website through the “Magic Bus” post. I read “Into the Wild” last summer and found your site while doing a bit of reasearch afterward. While I’m conflicted on my opinon about Chris’ story, I got hooked on your site. I went back to the beginning and read about your adventures. I looked forward to the entries and am still following along. You write well and the photos have been amazing. Thank you so much for sharing. Dan! Welcome back and just got looking through these highlights – what a great experience! Just hearing your story when I was in Cotopaxi was awesome. Keep in touch and keep us updated on what the next adventure is! PS. How are those two bicyclists doing? Still making their way to Argentina?! Hey Scott – thanks for the welcome. It’s nice to be back in the world, recharging my batteries. Good luck Mark, I’m sure you’ll have an amazing journey. Do you have a website where you will post stories/photos? I would love to follow along. Hi Dan, Thanks for answering. It will be around the globe trip Left Miami Beach then New York, ferry from NJ to Europe…then all the way to Moscow. Had to backtrack to Paris in June expecting to be in Moscow in August and then Siberia. About the car . It 4.0 L gazoline Engine, Tires like on the picture Goodyear all terrain, might switch to mud. Have also Pirelli All season scorpio… Are those better for snow? I do have synthetic oil..not sure about anti freeze…. I should be fine till November then It will get minus 30. daily might get even 45…. Nice one Mark! It looks like you are all set for a grand adventure. I’ll try to answer all your questions…. * My website is hosted at a private company, and I use WordPress for the blog itself. If you want something quick, easy and cheap, I suggest getting a free blog at http://wordpress.com they work really well. * As for cold, on my adventure it was not too cold, maybe I saw something like -20C in Yellowstone National Park. I’m back in Northern Canada now, however, and I’m getting set for the coldest winter of my life. It should be -40C and colder quite regularly. If you expect to still be in Siberia for winter, I would invest some time and money into heating for your Jeep. A block heater, sump heater and battery heater will be mandatory to start the engine at anything below about -35C. They are common and easy to buy in any country that gets cold enough. You want synthetic oil in everything too (engine, transmission, differentials, transfer case) and make sure your radiator is clean (flush it) and has the correct water/coolant mix. When it gets that cold, let the engine warm up for a long time, and drive very smoothly and slowly for a while until everything warms up. If you go to a place that is cold enough, you may never switch off the engine. 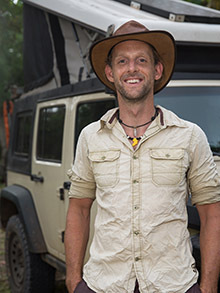 I’m happy to hear my adventure inspired you to get out there and go for it. Any thoughts on where you are headed? I’m working on another project right now, so I’ve been really bad about updating this site. I have so many mind-blowing photos from recent adventures, I can’t wait to get them all online. All the best for your upcoming adventure! Well last year I did Chile & a bit of Argentina…and I loved it!! I’m not sure right now. I’ve decided to be like water & let life take me where I need to go, which is an adventure in an of itself lol…we’ll see! Thanks for the good wishes, and good luck to you on whatever you are workng on now! I dream of doing something similar. I’m fighting like hell to get out of debt, improve my mental health, and change my habits and life so I can make my dream a reality…..it’s good to see other people who’ve blazed a trail, it gives me hope that I can do it. To be honest, I usually get a rush of intense jealousy and sadness when I see people living like this, and it leaves me feeling hopelessly stuck. Like I said, I’m striving to improve my financial habits (getting sober, working two jobs, training for a higher paying job)…and it’s the fight of my life. It’s tough to know that it will be a few years before I can make it happen, but also satisfying because I’m finally making sacrificing things in pursuit of a dream, instead of just being pushed along by the current. So far I’ve gotten rid of most of my possessions (except clothes, snowboards/hiking/camping gear, and some vinyl records), including my turntables…gave up on an old dream I was attached to (dj’ing)and that was a big step to realize my heart wasn’t in it and let go of that old “should” feeling I had around it..
It’s been a slog because of my mental health issues, and also because I seem to regress and spend money that I shouldn’t, although I’ve already paid off about $15,000 in debt. It’s wild how difficult it can be but like you said, once you start gaining momentum it can motivate you to keep going. Thanks for your inspiration and maybe we will cross paths on the road one day! Wow, that is awesome to hear, and congrats on your progress so far – YOU are an inspiration! All the best, I’m sure you will make your dreams come true! You’ve already done the hardest part !